It’s game time and we’re headed to DreamHack Atlanta in support the HCS Summer Season Finals and the 2017 DreamHack ASTRO Open! Congrats to all the teams that have earned their chance to compete for a collective $800,000 in prize pool winnings. If you’re attending the expo as a guest or competitor, read more about our plans and join us in the ASTRO Booth! 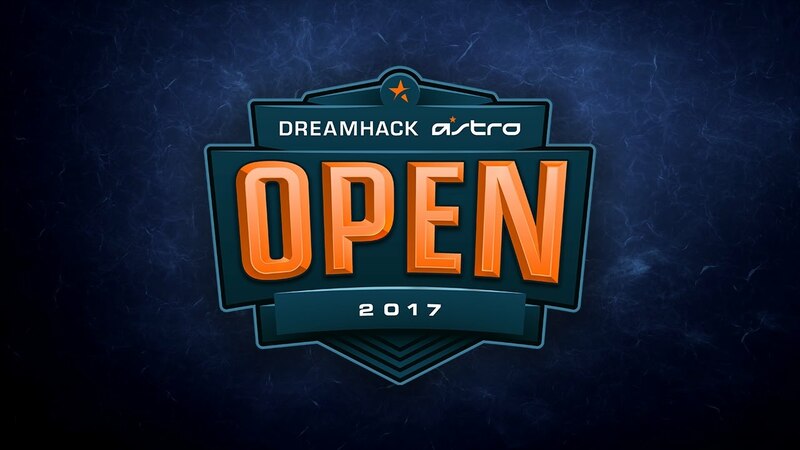 DreamHack Atlanta is the sixth tournament of the 2017 DreamHack ASTRO Open that features eight of the world’s top CSGO teams competing for $100,000. Six teams have been invited for their merit, while the remaining two teams earned their seed through Open Qualifiers. 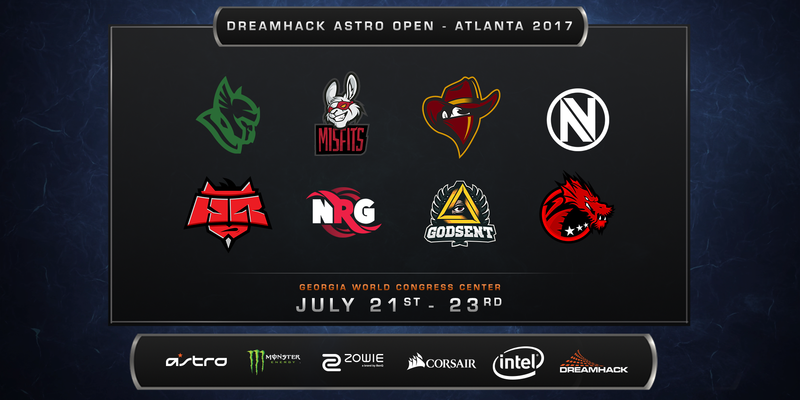 We’ll be watching these 8 teams duke it out all weekend on dreamhack.tv to determine who will become the first ever DreamHack Atlanta CSGO Champions. GLHF! Halo pro teams have been battling all summer long for a $200,000 prize pool up for grabs at the HCS Summer Finals and it all comes down to this. The top four teams from Europe and top six teams from North America will be joined by six more teams that qualify through the HCS Open Bracket at DreamHack Atlanta. 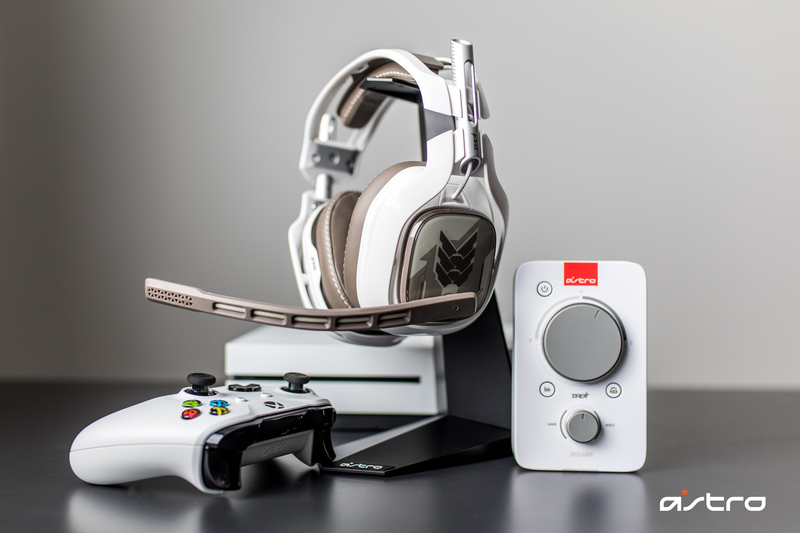 As the Official Communications Partner of the 2017 HCS Pro League we’ll be powering the tournament audio with our A40 + MixAmp TR and A40 TR Mod Kits at every station so teams can compete at peak performance. Suit up Spartans, we’ll see you in the Open Bracket! Game on! We’re bringing the ASTRO Booth to Atlanta so you can ask us all of your amazing questions, test our latest products, and save 20% on your purchase. 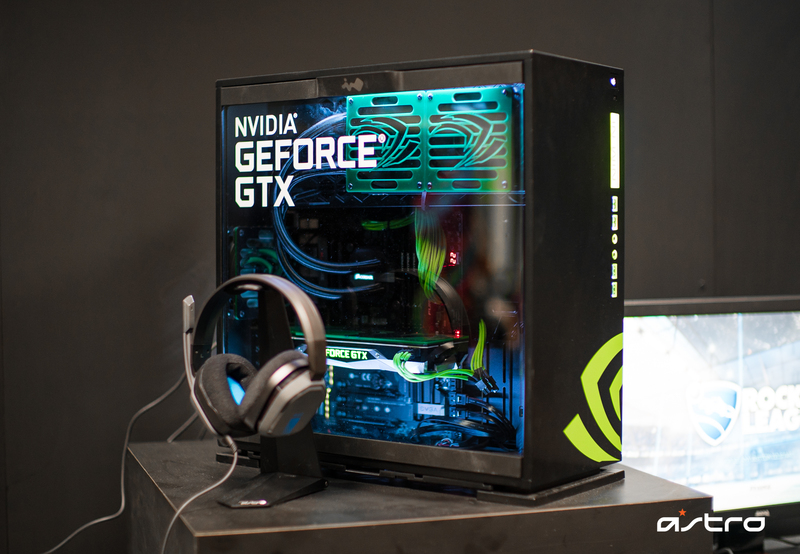 We’ll be playing Halo 5 on Xbox One and CSGO on these amazing PC rigs from our friends at NVIDIA GeForce! If you’re looking to join the ASTRO Family be sure to stop by and learn more about our 20% savings and chances to win. We’ll have the new A10 Gaming Headset, the A40 + MixAmp TR, the A50 Wireless and much more available for purchase. We’ll also be premiering some brand new products with special offers only available at DreamHack Atlanta – so don’t be shy and come prepared to loot! – Daily Competitions: Each day we’ll be converting our testing stations to feature two competitions that have daily grand prize bundles. 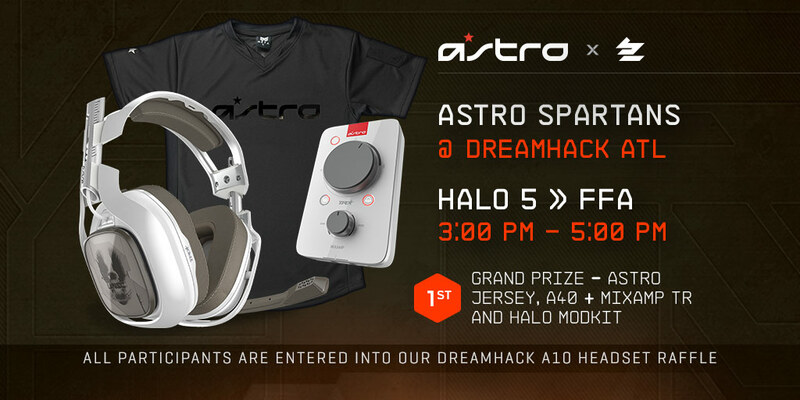 Every morning we’ll kick off the DreamExpo with a 2-hour CSGO Deathmatch Free-For-All and finish the day with an ASTRO Spartans Halo 5 Free-For-All. If you win a match of FFA, you stay on your station to face a new round of challengers. The competitor with the longest win streak will take home the grand prize. All of our FFA participants are also entered into our A10 Gaming Headset Raffle with 10 lucky winners. 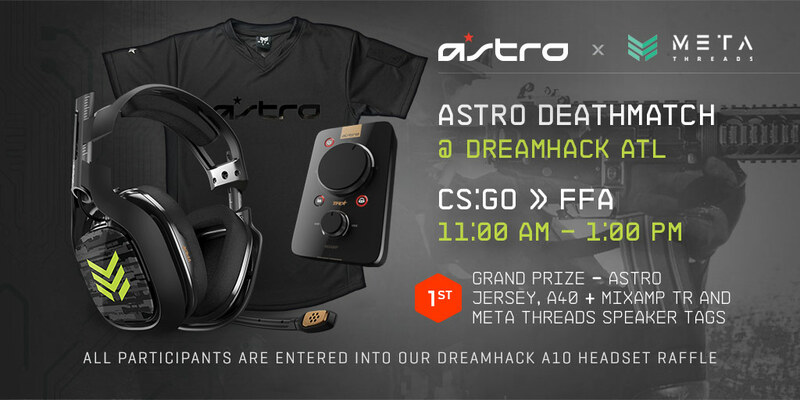 – The Stream Zone: Last but not least, ASTRO is powering the DreamHack Atlanta Stream Zone with our A40 + MixAmp TR. 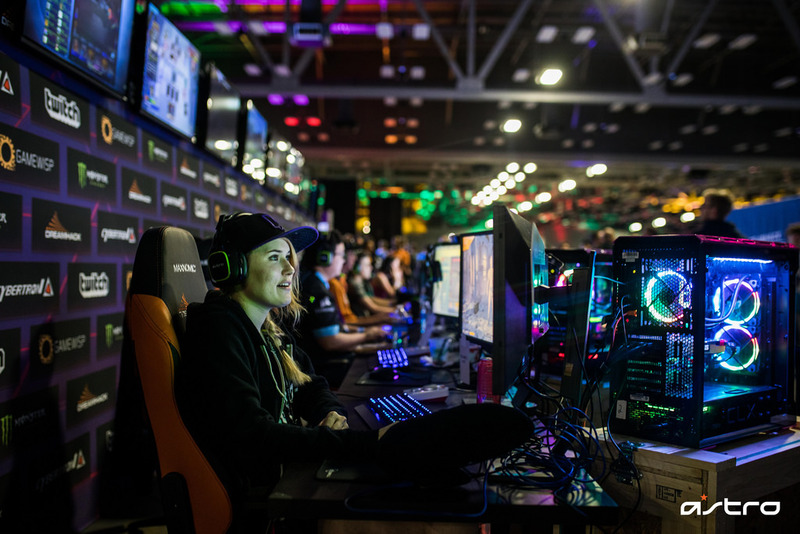 The Stream Zone will be packed with PC Streaming stations hosting live streams with some of your favorite streamers on Twitch.tv! Our audio techs will be on site to maintain the audio quality and provide giveaways to the active streamers. We’ll have several A40 + MixAmp TRs to give away on stream so be sure to tune in and support your favorite streamer at DreamHack Atlanta for a chance to win! Check out the list of talent and schedules – DreamHack Atlanta: Stream Zone Talent.